Description - Get Premium Smoky Mountain Cabins Near Gatlinburg and Pigeon Forge, Tennessee Gatlinburg and Pigeon Forge, Tennessee, have much to offer from thrilling attractions to private rental cabins in serene, natural settings. 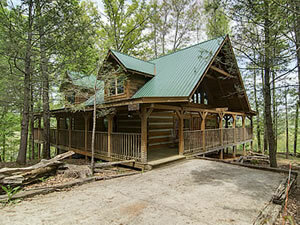 With Timbercreek Realty and Cabin Rentals, you can have the best of both worlds! 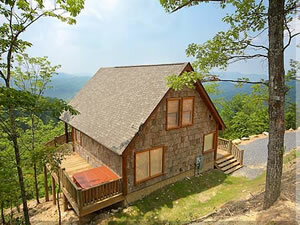 You'll find exceptional rental cabins and chalets located in Wears Valley near all the excitement Sevierville, Pigeon Forge, Gatlinburg and Townsend have to offer. Spending a day at Dollywood in Pigeon Forge? Rental cabins from Timbercreek put you in a central location with first-rate lodging that's just minutes from many local attractions. Planning a wedding in Gatlinburg? Chalets are the perfect place for honeymoons or for housing your guests because you can access limitless activities including: Cades Cove wedding chapels shopping malls exceptional restaurants hiking trails fly fishing for trout & more horseback riding parks snow skiing at Ober Gatlinburg music theaters golf courses Dollywood Dixie Stampede Splash Country Gatlinburg Aquarium Great Smoky Mountains National Park Cherokee, NC Asheville, NC Knoxville, TN and so much more Whether it's 4-wheeling up Bluff Mountain, rafting and tubing down a Smokies river, or taking a step back in time at antique car shows and the Great Smoky Mountain Heritage Center, you'll have plenty of fun for the whole family. 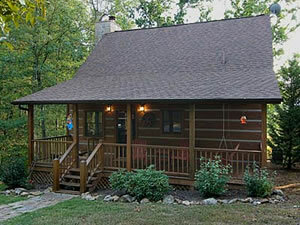 Only Select Smoky Mountain Cabins Are Available Timbercreek Realty and Cabin Rentals requires all cabins to pass a stringent approval process before being accepted into their rental cabin program. 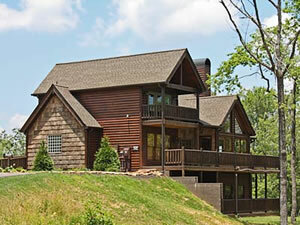 We're that particular, so we can ensure you get only premium Smoky Mountain cabins. Planning to spend a day hiking the Smoky Mountains National Park? Want to swoosh down the slopes in Gatlinburg? Chalets, cabins and log homes from Timbercreek are fully furnished and fully equipped, so you'll have a comfortable home away from home to return to. Many rental cabins offer: spectacular mountain views private and secluded locations creek settings hot tubs whirlpool tubs wireless Internet pool tables covered decks screened porches washers & dryers fully equipped kitchens and more! When you want to stay in premium rental cabins near Pigeon Forge, Gatlinburg, Sevierville or Townsend, where you can commune with nature and visit the surrounding attractions at your leisure, book with us.